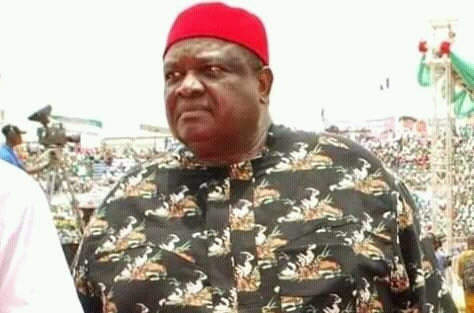 Chief Emmanuel Iwuanyanwu has said that the Southeast region will not beg for the President of the Senate or Speaker of the House of Representatives, but, rather fought for Biafra Republic to stand. The political rancour in the political scene on whom will be become the senate president, or where it should be zone to is a causing severe uproar in the house. As the battle lies between the South South, South East and South West who has claim rightful ownership to the seat. Iwuanyanwu said, it is the right of the Southeast to produce the Senate President after the North and the South West have clinched the positions of the President and Vice President respectively. According to him, the current arrangement for the sharing of principal offices in the National Assembly by the ruling All Progressives Congress ( APC), will further undermine the Igbo as one the three major tribes that make up the country. He observed that the Igbo have made great contributions in the development and unity of the nation and should not be treated with levity at all times. Iwuanyanwu said: “The Southeast will not beg for the position of the Senate President or Speaker of the House of Representatives. Igbo are not fools, Igbo have talented people, we have no doubt in our mind that we are being marginalised. Let me tell other parts of Nigeria how the Igbo feel about issues, Igbo feel they are part of the success of Nigeria right from the time this country was founded. The Igbo have done better than most tribes in Nigeria, Igbo have distributed their resources across the nation. “Right now, the Igbo are very unhappy, we have been pushed to a point of contempt and ridicule. There are some people in this country who just ridicule, some even say that the Igbo have been sacked from this country. Take for instance the issue of the railway, none passed through Igboland and this is being financed with a loan that all of us will repay”. He said: “The Igbo have nothing against Buhari at all but a fundamental mistake was made in 2015 when a son of the Eastern region, Goodluck Jonathan was running for a second term, the Igbo felt he needed a second term but that does not mean that they hated Bubari in anyway”. “If we can have Biafra Republic as position, then, Let us be” he said.